Italy has 20 regions and only 5 of them aren’t touched by the sea. Italy has the Tyrrhenian sea on the west side and the Adriatic sea on the east side. Along both coasts there are a lot of beaches where to go and not far from important cities too. Today I will talk about the best beaches of Adriatic coast because it is the side that I know better. Actually I live along the Adriatic coast, near Senigallia in Le Marche. Continue to read if you’d like to know which Italian Adriatic beach resorts are the best. If you have in your mind the pictures of Sorrento or the Cinque Terre… forget them! The Adriatic coast is quite the opposite. these two areas offer enchanting panoramas and wild, unspoilt beaches. The Adriatic costs offer private beaches with beach establishments alternated with public beaches. 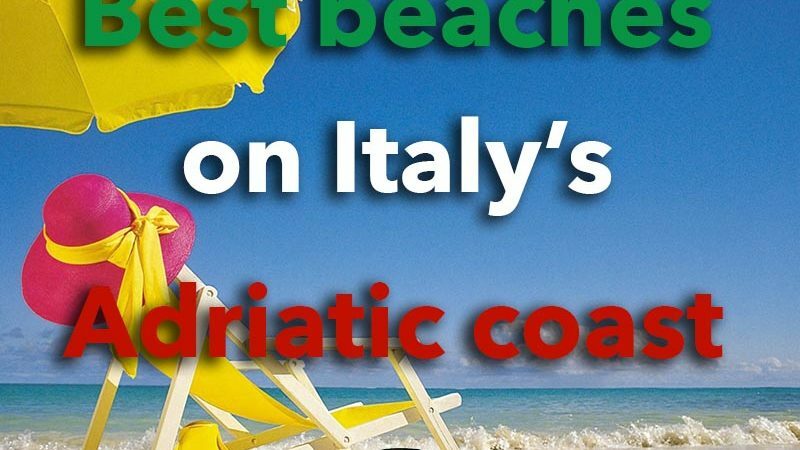 If you need to know which is the difference between these two kinds of beach, read the article about the beach etiquette in Italy. Since always the northern part of the Italy’s Adriatic Sea had been beeing popular among European people coming mostly from Germany, Austria and Sweden. It includes the coasts of Friuli, Veneto and Emilia-Romagna. 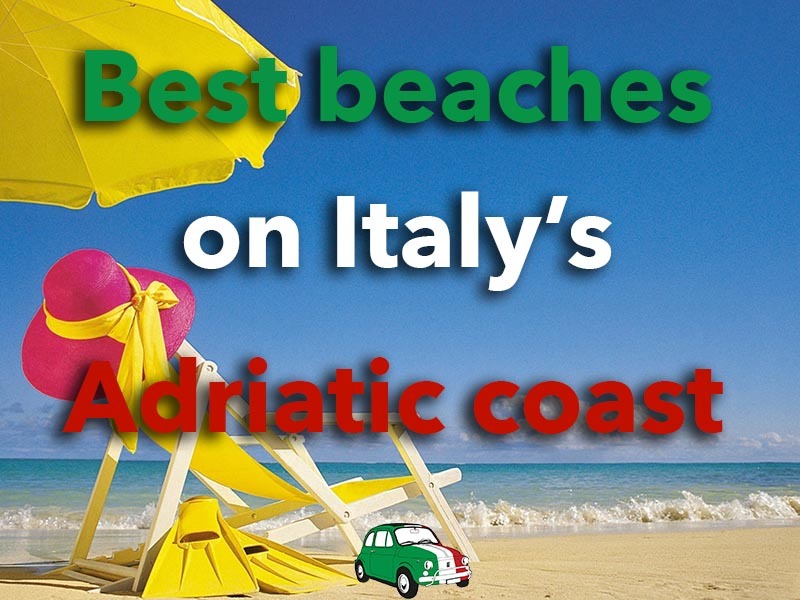 The best beaches of the Adriatic coast in Friuli are two. Grado has a long tradition as beach resort thanks to the Hapsburg’s family, who choose this place to nurse the royal children. The sun shines on the beach from the sunrising till the sunsetting thanks to the favourable position. Grado’s beach is kid and dog-friendly. Lignano Sabbiadoro, where ‘sabbiadoro‘ means golden sand, is located between Venice and Trieste. It has 8 km of beaches. This beach resort is full of shops, open-bars and restaurants where it will be a pleasure having breakfast or drinking an aperitivo in front of the sea. Do you know that Venice has a beach? It finds on Lido di Venezia. There are many beach establishments where you can rent a beach umbrella with beach loungers. The distinctive trait is the beach hut that is bigger than the standard ones and has a sort of patio too. A good idea to spend a day off from visiting Venice. Would you like to stay in a hotel in Lido of Venice? Click here. Lido is not the only one beach in Veneto. Along the regional coast going eastwards you will find: Jesolo, Caorle and Bibione. Jesolo has a 15km long beach. The first beach establishment was opened at the end of the 19th century. 30 minutes drive from Jesolo you will bump into Caorle, whose beach is divided into ‘spiaggia di Ponente’ (1.2 km) and ‘spiaggia di Levante’ (1.7 km). The length of Caorle’s beach reaches 15 km including the suburbs of Porto Santa Margherita, Lido Altanea and Duna Verde. Caorle’s sand derives from the Dolomites’ rocks, while the sand in Bibione is generated by Tagliamento river. Sandy beaches rich in beach establishments and services for all kind of needs. Bibione offers medical aid, lifeguard, kid changing rooms with water and changing tables, access to disabled people and a customer care office directly on its beach. Romagna – the eastern part of the region – is the wonderland of the beach and suntan lovers. The coast is jam-packed of beach establishments. Rimini, Riccione, Cattolica and Cesenatico are only some of the most famous Adriatic beach resorts. The sea is not great here, but the abundance of services (pools, water slides, gym, massages, sports lessons and so on) made these towns the Italy’s top beach resorts. Moreover discos, clubs and beach bars are uncountable and it’s a little bit like being in Ibiza. Senigallia is a famous beach resort in Le Marche known for its velvet beach, but there are also pebbly beaches. If you like more relaxing sites with less crowd, Le Marche is the ideal place for you. The coast goes from Gabicce to San Benedetto del Tronto with as much beach establishments as public beaches where you can sunbathe for free. Pesaro, Fano, Senigallia and Civitanova Marche are only some of the Adriatic beach resorts along Le Marche’s coast. They all have sandy beaches, bars and restaurants are along both sides of the waterfront. If you prefer pebbly beaches reach the area near Conero Mount. Enchanting, wild beaches with crystal clear water are waiting for you in Numana and Sirolo. And don’t forget to taste the fish dishes for lunch choosing a frittura dell’Adriatico (fried Adriatic fish), a risotto agli scampi or the typical brodetto di pesce (fish soup). 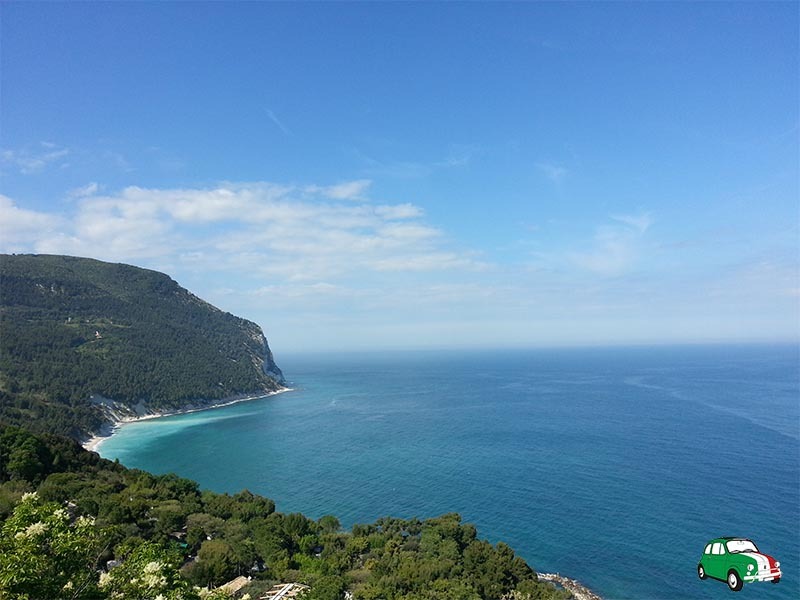 Conero mount is a wonderful place for the beach and hiking lovers. 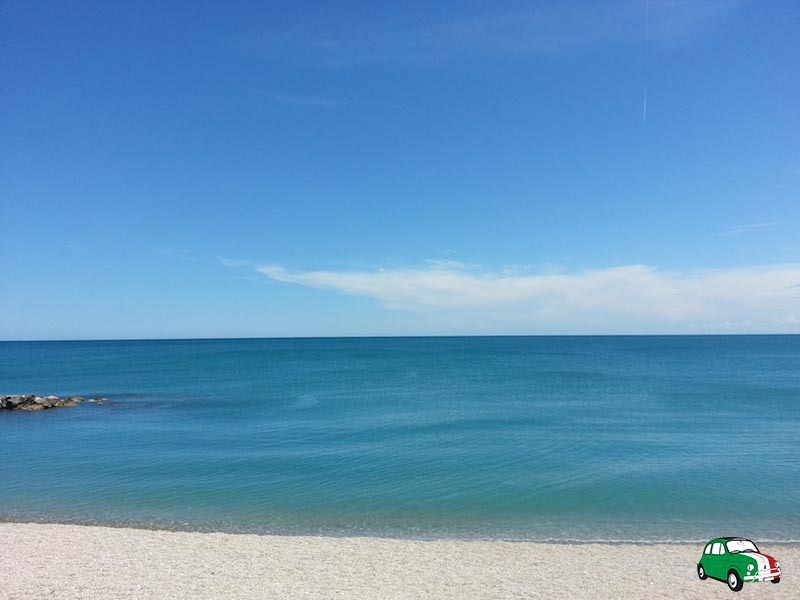 In the southern part of the Adriatic coast you find 3 regions: Abruzzo, Molise and Puglia. But among the many beaches I will mention the best Italy’s beaches on the Adriatic coast that you have not to miss. This region is famous for its high mountains where you can ski or hike and for its national parks, for that reason Abruzzo is called the Europe’s green lung. The coast has to be included in the places to see in Abruzzo too. Especially the stretch called Costa dei Trabocchi. Trabocchi are wooden pile-dwelling buildings used by fishermen to fish. The fishing net is attached to poles and fisherman moves the net up and down by pulling ropes and using hoists. It’s an old tradition that is still alive and protected by the inhabitants. Which are the best beaches? Fossacesia, Ortona, Rocca San Giovanni, San Salvo, San Vasto Chietino and Vasto. Does the Molise exist? It’s just a joke about this very little Italian region that has to offer much more than we (the Italians too!) already knew about it. In Petacciato there is the beach of Campomarino, on which a long pinewood stretches. At the end of this beach close to the Sacciano creek, you will find a natural area with birds and plants to admire. Puglia… I need to add anything else? This last region along the Adriatic coast has too much beaches to be mentioned but I would like to recommend you some of them. In northern Puglia you have the Gargano area. Here beaches are very different. On the northern side of the promontory beaches are flat and sandy. You can go to Vieste, Peschici and Rodi Garganico. I have been to Peschici and it is very lovely. On the southern side the coast becomes rocky and the beaches are pebbly. Don’t miss Baia delle Zagare or Mattinata. 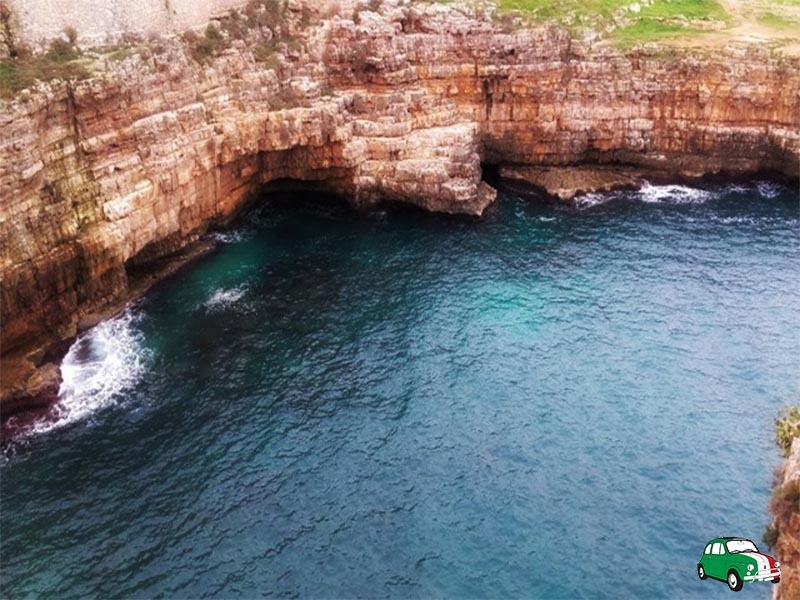 In front of the Gargano mount there are the Tremiti islands that you can reach only by boat. Going southwards the countryside gest flatter, but along the coast there are cliffs protecting pebbly beaches. Passing Polignano a Mare the beaches become like a paradise, that let you recognize you are in the Salento area where the sea is turquoise. It seems you are not in Italy. Torre dell’Orso, Ostuni, Bisceglie and Lecce are only some of the beach resorts. Are you planning your beach holiday along the Adriatic coast? If you need help, contact us! Tell/send me more about Vieste. My father was born there. I might be going to Forli this summer and would like to know if there is any beach resorts near. Forlì is not near the coast. The nearest destinations are those along the Riviera Romagnola, such as Rimini, Riccione, Cesenatico. If you need further information about them, you can reply to this comment or write to info@italianstorytellers.com. Thanks for leaving your question here. The nearest coast from Alberobello is not too much sandy, apart the stretch of coast where the Regional natural park of coastal dunes is situated. If your family is looking for beaches remembering those in the Carribean Sea, they have to go in the southern part of Puglia: Salento. There they will find white sandy beaches, turquoise shallow water. Hello, are there any nice beaches from Venice over to Trieste that are not on Lido Venezia? Thanks! Hi Charles, thanks for your question. From Venice to Trieste there are some of the most famous Italian beaches. I stayed in Grado 3 years ago and it’s very lovely. The city has a lagoon and the fish fished in the lagoon has a particular taste… you should eat it once! Grado is perfect for families and there you can find thermal baths too. Other cities with famous beaches are (from west to east): Jesolo, Caorle, Bibione and Lignano Sabbiadoro. 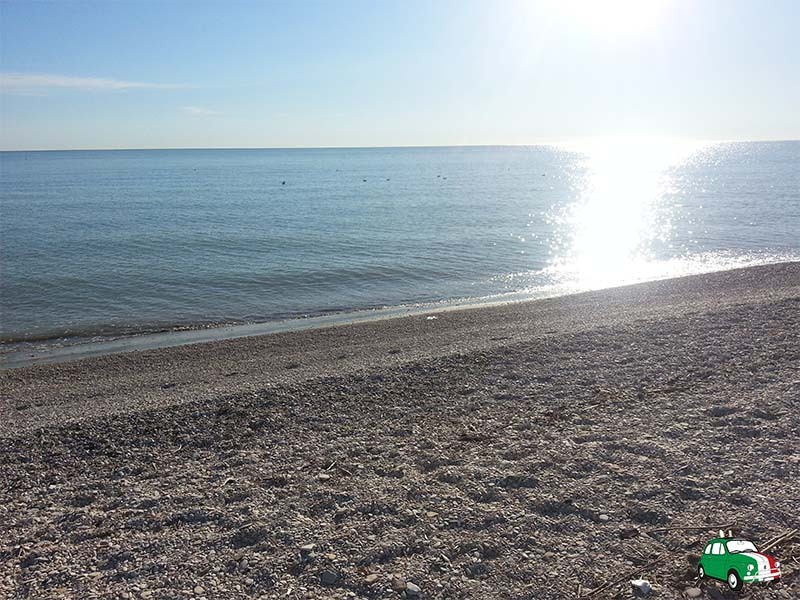 Remember that you find wide sandy beaches along the upper Adriatic coast because of Adriatic sea is a closed sea. Hi, thanks for your page. We are a family of 4, with teenage boys, we are thinking of spending time in italy this summer. We plan to spend 4/5 days in rome, then drive up and along the adriatic coast, and spend a week in a nice beach resort area…. with good sandy beach and water sports etc etc… then travel onto venice and spend 2/3 day there. We are after good recommendations for the coast, nothing too busy, but enough to do. nice town and great beach. What do you think about Le Marche region? It’s less crowded than Romagna, but with some marveillous spots like Monte Conero and Monte San Bartolo where water are deeper due to the rocks. If you prefer sandy beaches there are so many to choose. For example in Senigallia – where I live – you can do kitesurfing. Hope this can help you otherwise write me an email. I am coming to visit Assisi for 4-5 days and then would like to visit the beach. What do you recommend? Is it easy enough for a foreigner to drive themselves? I would like to find a beach side town with a nice walking beach, quaint town to stay a few days – I am happy to take a day trip to another beach/rocky/hike. I am coming August 15th. I love being outdoors, walking, beach, hiking. not so much for museums, big cities. Thank you! Ciao Elizabth! Assisi is in the middle of Italy with no sea around it (Umbria region has no outlet on the sea). You can go to Trasimeno Lake that is not far from the city. Roads are very easy to drive, especially between Umbria and Marche region. If you like hiking and rocky beaches, you can reach Monte Conero in Marche region (1 hour and a half driving more or less from Assisi). 15th August is a bank holiday in Italy and it’s the main period for our holiday. If you need further information, write me at info@italianstorytellers.com. Hi we are a family of 4 with 2 kids 6 and 4 on our first visit to Italy! We have 2 weeks and plan to spend bulk of our time in Tuscany. We will visit Venice and fly back from Milan. We are looking for a sandy kid friendly beach to end our vacation with! About 5 days and preferably not too crowded but a quiet more relaxed beach with calm waters and good food and stay! Hi Vinnie, thanks for leaving your question here. If you would like to stay in the northern part of Adriatic sea, I suggest you Grado, Jesolo and Bibione. These are the most famous beaches in that area. Otherwise you can go down along the coast until Riviera romagnola in Emilia-Romagna, where you will find Cesenatico, Bellaria, Rimini, Riccione and many other sea resorts. Which is the period you come to Italy with your famiy? Remember that in August most Italians are off of work and beaches are always crowded as well as dring summer weekends. If you need help to arrange your stay in Italy, feel free tocontact me. Hello! My wife and I are planning a week holiday in Italy. I want to arrive to Venice, rent a car and go towards Naples (and probably back to Venice). We are not much of a swimmers and prefer calm relaxation to parties. My question is, where on our way (both by Adriatic Sea and Tyrrhenian Sea) we can find shallow water sand beaches, not too crowded? Thank you so much for your article and for you reply in advance! You will find not crowded beaches in June and September because most of Italians are on holiday in July and especially in August. Along both seas there are lots of quieter beaches: Senigallia, Cesenatico on the Adriatic Sea and Sabaudia, Terracina, Sperlonga on the Tyrrhenian Sea. The best advice that I can give you is to drive along the two coasts and to stop when you find something that fits to your need. Beaches are one after the other and you will be spoilt for choice. Have a nice holiday! Can you tell me. What is the nicest little hotel between civitanova Marche and Vasto on the coast as I am driving south. Actually I don’t know very well that area and the possibilities of accommodation, but as I’ve worked in hotelliere field I always heard about Villaggio Camping Duca d’Amedeo in Martinsicuro (Abruzzo). This accommodation is a huge campsite, but it has also bungalows along the coast. In San Benedetto del Tronto (Marche) there are many hotels to choose from. One of these is Smeraldo Hotel Suite & Spa. My husband and I were looking at Rimini, but then heard it is filled with tourism and parties. We want more low key, with piazzas, a beautiful beach, a little bit of a livelihood. We usually go to Positano… and yes, the beach there is impeccable, but we loved their nightlife. Low key, one or two bars. It was just enough for us. So out of the Central Adriatic Coast locations you mentioned, which one would you recommend? And do you recommend we stay closer to water? Or near a piazza? Hi Linda, I’m so sorry to answer you so late. Regardless of the big delay I would like to write you my answer. I think there is no best location because every place is easy to reach by car and also by train. If you are used to Positano, probably you will like Conero area. Ancona is on a promontory and on the southern side of the mountain there is one of the most beautiful places of Marche region. Portonovo, Numana and Sirolo are wonderful towns where to spend your holiday. In 20 minutes drive you will be in Ancona and in 1 hour drive you can reach Senigallia, another beach resort. For example Porto Recanati will be the best for you, it finds after Numana southwards. You can stay closer to water so that if you don’t have a car you can easily move around. You won’t have problem in that area, because it’s full of accommodations where to stay not to far from the beach and from the city centre. I have been in Ceglie Messapica, not far from Ostuni, that is a wonderful town with white houses, alleys and some restaurants where to eat genuine local food (don’t miss Ceglie’s biscuits!). My husband and I will be traveling to the Riviera Romagnola area in June 2019. We would love to stay at a bed and breakfast that might offer a home-cooked dinner one evening for guests. Do you have any suggestions for such a place in any of the towns in that area? We love being by the beach and an extra bonus would be if the bed and breakfast was right by the beach. Any suggestions are greatly appreciated. So much great information here! QQ – we, 2 adults and 1 toddler are travelling to Cesenatico for a wedding in late August. We have 4 days before the wedding and 9 after the wedding to find somewhere nice, child friendly (and my personally preference – not too hectic!). Le Marche being 1.5hrs away seems eminently doable. Is there anything else you’d recommend? Yes, of course! Marche region is the best choice for you. For example from Riccione to Senigallia (my city) it takes 1 hour driving. Gabicce, Fano, Senigallia (where I am), Conero area (Portonovo, Numana, Sirolo), Civitanova Marche, Grottammare, Cupramontana and San Benedetto del Tronto are the most famous beach resorts in my region. Each beach resort is child friendly not only for the services offered, but also for the shallow waters you will find everywhere. If you need some more advice, just write me! Hello, we going 2 weeks from Bari to Rimini. In which regions you recomend to stay? More interests in picturesque preasures, beaches ,parks than city. Thank you are helpping so much!! From Bari to Rimini every place will be good for you. 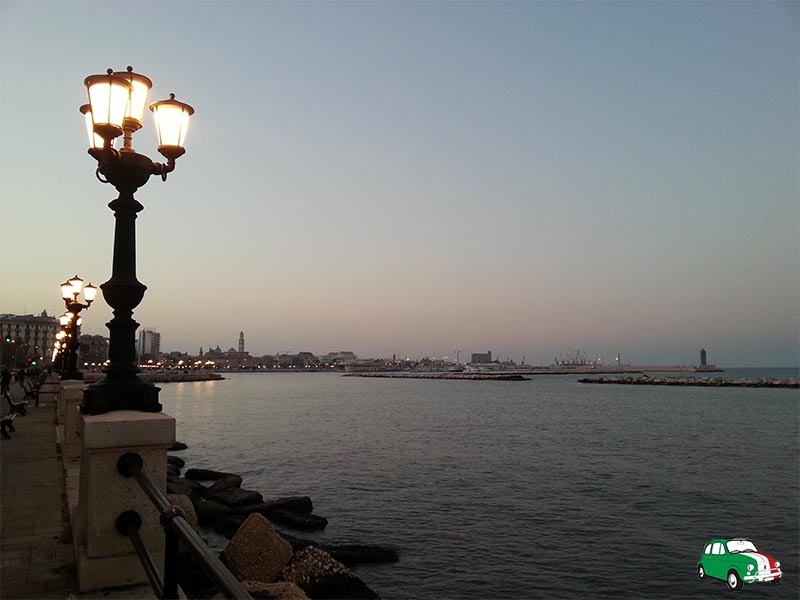 Bari is wonderful with its waterfront, than the most photographed Polignano a Mare with its high cliff. Further north you will find the Gargano area with Mattinata, Rodi Garganico, Peschici, Vieste. A relaxing place in Molise is Campomarino Lido. In Abruzzo region you don’t have to miss the ‘Trabocchi’, similar to pile dwelling but used by fishermen: it’s a marvellous area to go to. After that driving north you will find Marche region where I live. San Benedetto del Tronto, the Conero area, Senigallia, Fano and Gabicce are some of the most famous beach resorts in this region. Then along the Romagna coast you will be spoilt for choice. Consider that behind these places I mentioned there’s an amazing inland to discover full of hamlets, vineyards and much more. PS: if you stop in Senigallia, we could meet! Ciao Eleonora. Love your blog!! Wrote a lengthy email about our road trip to Trani from Spoleto next week but, I was having problems with my tablet so I don’t think you got it. Looking for recommendations for the drive, must see stops, recommendations for a Trabocchi ristorante, and whatever ideas you might have. Our base will be Trani 4 nights, 5 days!! We have never seen this part of Italy. Living in Spoleto in Umbria, we spend most of our time inland. Grazie mille for in assistance you can give. Hi Eleanor! I’ve never received your email. Which email address have you sent it to? Would you like to send it to me again? You can also contact me on Facebook if you prefer. Do you leave in Spoleto? Great! I live in Senigallia, in Marche region, and we can also meet if you come. What do you think? Oops!! I see it now. Sorry! I came across your blog, and perhaps you can give me some advice. I have a friend who wants to swim in the Adriatic, and she’ll be in Italy in September. I’m looking for a place where it’s warm enough to swim in the Adriatic in September (end of August or early September), and that is accessible by train. It would be nice if it’s somewhat close to Venice, but the most important thing is that the water is warm enough for swimming. Any help would be greatly appreciated! Adriatic sea is not a deep sea, therefore water is warmer than any other sea in Italy. There are only some spots where water is colder and they are those with rocks. Actually when the temperatures are very hot like this year, at the end of August and early September water will be still warm. But it also depends on the specific place you will go to. But the problem is not to find warm water rather to find a place where your friend can swim. I don’t know very well the water around Venice and I don’t know how deep they are. There are a lot of beaches not far from Venice: Jesolo, Lignano, Caorle, Grado and so on. Thank you for writing your comment here. Do you know if there are any stretches of beach wothout a resort blocking everything with beech chairs? There are a lot of stretches of beach free of everything. We called them “spiaggia libera” (i.e. free beach), it means they are without beach establishments on it. Are you going to a specific area? We are at Bellaria near Rimini at the moment and would like to find a more peacefull place for our last two days. Preferably north from here. We are staying near Rimini and would like to find Something here or any where north from here. We still have 2 days here. Have you been in Cesenatico? Unfortunately Romagna coast is not so quiet in this period and every beach resort is crowded with families and youth. Probably it would be better to drive southwards until Marche region, where I’m sure you can find some beaches not so full of people. We are 5 adults looking for a lovely Adriatic town to stay at for 3 days in the middle of our trip in September 2019. I was thinking since we’ll be coming from the north (Udine area where family are from) and making our way to the Amalfi coast it would be nice to stay about half way down on the Adriatic coast. A quiet town with nice beach, good restaurants some shopping and exploring. What do you suggest? thanks for any ideas you can offer. Much appreciated! From Udine down on the Adriatic coast you can stop in Rimini on the Riviera romagnola; in Fano or Senigallia in Marche region; or you can choose to reach Abruzzo region as you can take the highway from there to reach Amalfi coast. These are all tourist places with restaurants, shop…, but not so crowded in September. I am traveling to Italy for the first time in May. I fly into Rome and have 3 days before heading to Florence. I am wondering if heading east to the coast might be a good start for beaches and smaller towns. Also does a train East from Rome to that area. Was looking at Positano area, but may be more time in travel than I would like in 3 days to head north. Positano is more southward than Rome and west coast would be easier to reach than the east cost. Tuscany has a lot of places where to spend some days, like Castiglione della Pescaia, Follonica, Cecina. A little bit norhtern than Florence there is Forte dei Marmi too. It is possible to go from Rome to Adriatic coast by train. You can take the high speed train to Bologna and then a regional train to Rimini or other cities, but I suggest you to not waist your time and enjoy a less famous area like Tuscany southern coast. Buongiorno Eleonora! My family is coming to Molise this summer, and I would like to take a day to travel from Isernia to a beach on the Adriatic for the day. Can you recommend both a spiaggia libera as well as a pay beach with chairs, near Abruzzo/Molise? Grazie! It depends on you for which kind of beach to choose. I prefer spiaggia libera in any case, because I don’t mind to lying on the beach even if there are pebbles. Easy to reach from Isernia are Vasto (Abruzzo) and Termoli (Molise), which are two of the most famous beach resorts in that area. Near Termoli there is Campomarino, where I went last year during summer: you will find beach establishments and many spiagge libere. We are planning to spend some time on the Adriatic coast in August and are looking for a nice beach with a windsurf school and good sand. We prefer less crowded locations. Can you recommend something? I’m not well-informed about windsurf schools, but I found windsurf school in Giulianova (Abruzzo). There is a windsurf school and you can ask them other information. Here following their email address: eastsailing@eastsailing.it. Hope this could be helpful for you! Thank you for writing this blog post. My girlfriend and I have about 8-9 days to spend on the East coast/ Adriatic Sea. We will spend our first 3 days in Rome and then drive to the southeast coast. This is what I thinking so far for destinations: Otranto (2days) for beaches, Alberobello and to visit Polignano a mare (2 days), and then drive up north 4-5 days in Abbruzzo/ Le Marche region. How does this plan sound to you? We love beaches but also love countryside, cliffs, fields, mountains. What places would you recommend in Abbruzzo/ Le Marche? Of course, we like good food too.. who doesnt?! haha.. but any regions or areas stand out to you for food recommendations? We are willing to hear all suggestions!! Then we will spend the last two days in Florence. Thank you so much for your help in advance!! Your plan sounds to me like a tour de force. Haha! You have just to consider that although my country is smaller than many others distances are not so short. You didn’t mention the period you will be in Italy, but don’t forget that Salento area (where Otranto is located) is one of the most crowded area of Italy during summer especially in August. For example Gargano area in northern Puglia is less known than Salento, but very unspoilt and less crowded even in August. In this area you will find ‘Foresta umbra’ and Monte Sant’Angelo, that are two Unesco sites. Alberobello is fascinating, like Matera and its ‘sassi’, but Polignano a mare is overrated: a charming town with a high cliff and nothing more. You have to consider that Puglia has done a lot of efforts to attract tourists, but only few areas/cities of this region are now well-known and there’s much more than this region can offer (sorry, but my partner comes from Puglia and I know the ‘other side’ of this region). In Abruzzo there is a very particular structure on the sea called ‘trabocco’. It was used by fishermen and nowadays many of them host restaurant serving local food. I can’t suggest you a specific place, but there are many places where to stop at. It depends on what you are looking for. Marche is the region where I live and I can give you a lot of advice on where to go, to stay and to eat. Just ask me! Lastly to drive from Marche to Florence I suggest you to avoid the highway. It’s clearly faster than other routes, but you will miss many enchanting places along Marche, Umbria and Tuscany where to stop at just only for taking a break. Hope to hear you again to be more helpful!!! We are looking to spend the UK bank holiday weekend In August. We want to branch out and like the Adriatic coast. Would like a recommendation for a nice town, great sandy beach, good restaurants and bars, not excessively busy to just park for 4 days. My instincts say Puglia but Any help would be appreciated. Glad to read your comment on my blog. I didn’t understand where you will spend your holiday along Adriatic coast. If you prefer Puglia I suggest you to choose Gargano area, the northern part of the Region. It’s unspoilt and not so crowded even in August. If you prefer sandy beaches you can go to Manfredonia or to the most famous beach resorts: Vieste, Peschici and Rodi Garganico. Otherwise you can drive down to Salento area (southern Puglia), but I discourage you to go there due to the period you choose for your holiday. Adriatic coast is very long and you can go to many other areas. For example Senigallia, in Marche regione, where I live. If you can give me more details about your journey, I can give you more advice.